According to the United Nations (UN), autism causes tremendous distress to sufferers and those who care for them. People with autism confront the daily challenges of their condition and cope with the negative attitudes of society, with inadequate support and even blatant discrimination. All children and adults with autism can lead full and meaningful lives in society. They simply need greater understanding and support. On December 18, 2007, the UN declared April 2 as World Autism Awareness Day (WAAD) in perpetuity, is one of only three official disease-specific UN Days to bring world attention to autism by asking member-states to raise awareness and encourage early diagnosis and early intervention. The ordinance provides for the necessary facilities for special children and the hiring of additional technically-skilled teachers and trained workers. Other provisions include free educational intervention with rehabilitation and counseling services, establishment of special coordinating day care centers for all special children in the four districts, mainstreaming pre-school CWD for integration into regular classes. The Philippines celebrated the 3rd World Autism Awareness Day with AutiSMusical last April 9, at SM The Block’s Atrium. 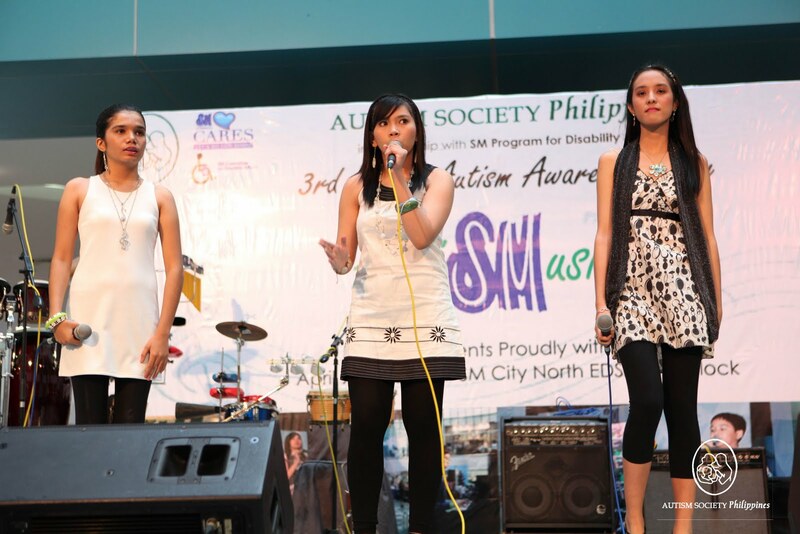 ASP Dream Girls composed of Vell Baria, Nica Escasinas and Thara Marie Santiago, all women with autism, performed to the amazement of the public. The trio is under the tutelage of Teacher Ging Viado, ASP trustee. 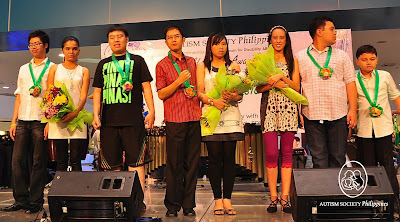 Sparkle Band, with members include Daryl Tan (vocals), Bryan Calvin Lu (vocals/drums), Desly Bianca Lim Alvarado (keyboards/vocals) and the youngest member, Elijah Josef Balila (drums), also performed. 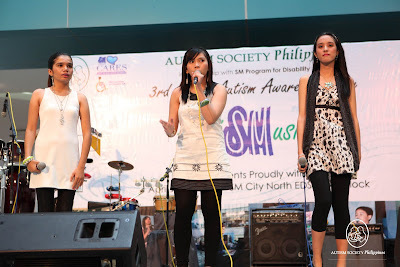 This group caused quite a stir in the autism community, receiving numerous requests for gigs around the country as well as TV guestings, short documentary and news articles. 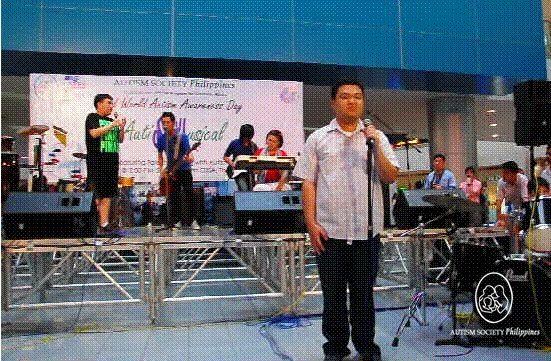 Recently, the band launched their latest CD entitled “Playing on Parallel Ground”. 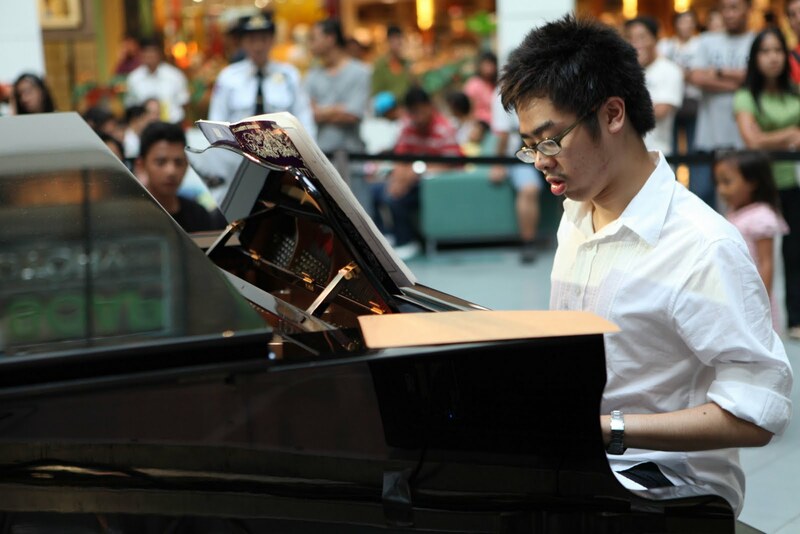 Math wizard Patrick Louie So, a BS Life Science freshman at the Ateneo de Manila University, rendered two solo classical piano pieces, followed by Angelo Dave Ponce, an 11 year old Grade 6 student of New Era University, who sang Tagalog songs. 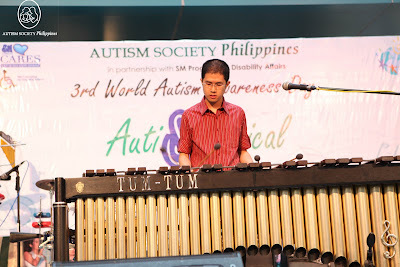 Tristan “Tum-Tum” Mendoza, Filipino child prodigy marimbist with autism, did a version of the gospel song “Mourning into Dancing. 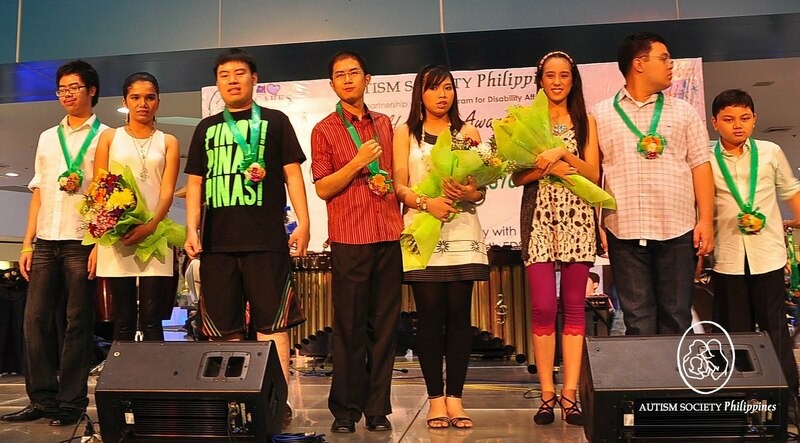 He swayed in between crescendos while jamming with his friends on the drums and bongos. Tum-Tum will be graduating soon from the University of the Philippines’ College of Music. 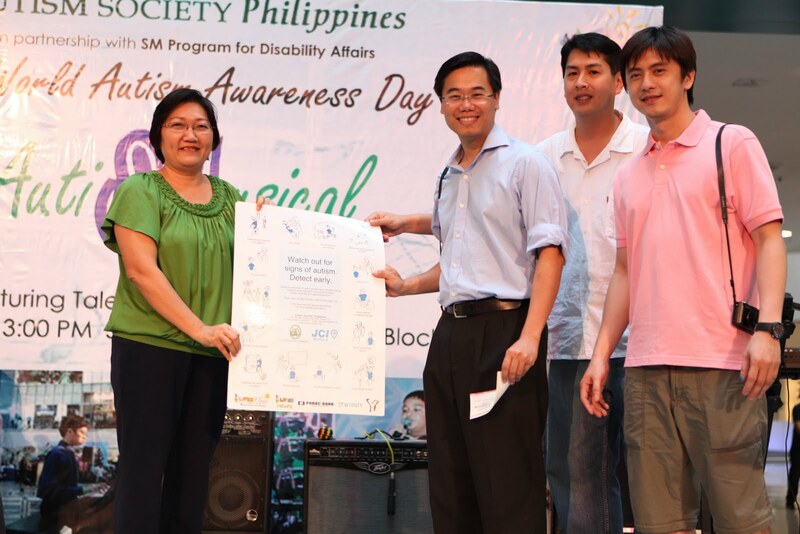 After the AutiSMusical, thousands of educational posters and cash donation were turned over to ASP by the representatives of Manila Jaycees Munting Liwanag Project. The posters will be distributed to public schools, barangay health centers, day care centers in Manila to educate the public on the different signs and symptoms of autism. 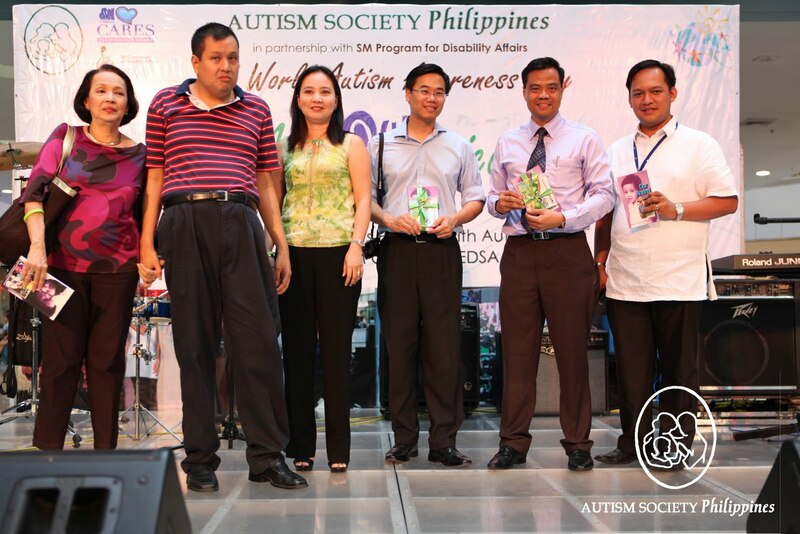 The event commenced with a book launching of “Our Andrei, Living with Autism” Andrei’s biography was told to the authors by mom Mariter Macapagal, ASP trustee. 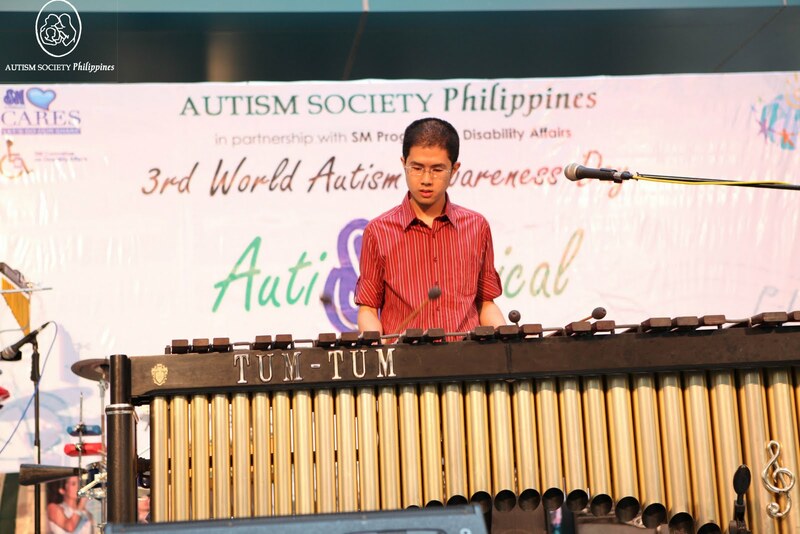 Andrei held a painting exhibit of his private collection during the Autism Consciousness Week last January. This year’s WAAD celebrations partners are ASP and its chapters; SM Supermalls and SM Program on Disability Affairs.